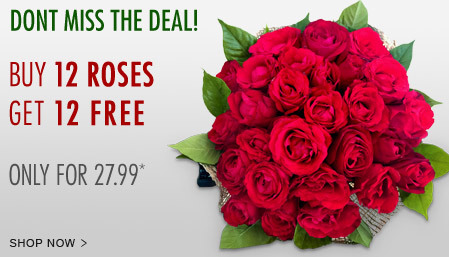 Send flowers same day to Philippines using our local florists & flower shops. Order by 12 noon. Send Easter Flower Arrangement, Easter Hampers & Gift Baskets to Philippines. Send Roses, Carnations, Lilies throughout Philippines for occasions like Birthdays, Anniversaries, Funerals, etc. Enjoy affordable flower delivery across Manila, Quezon City, Davao, Cebu & nationwide delivery. Highly sought after with its rich red texture and a deep penetrating aroma, comes this illustrious collection of two dozen red roses to wish your love on Birthday, Anniversary or Monthsary! Flowers symbolize care and love and you do not really need a special occasion to send flowers to a loved one or friend locally or abroad. From birthdays to Valentine’s Day, Mother’s Day, or any occasions, flowers are great choices as gifts. A boutique of flowers is a cost-effective solution to add color, beauty, and happiness into your life and somebody’s. To send flowers to someone is to send a beautiful gift as well as your kind thoughts and wishes. For any occasion, considering a flower delivery can make a special day remembered for life. With our expert florists who use just the finest and freshest flowers, we can ensure the freshness of your steams so that your thoughtful gift will be enjoyed for a long time. Flower delivery saves you time and can be done at practically any time of the day and to any location such as office, home, church, or school. You don’t have to worry about damaged or lost parcels and every flower arrangement and bouquet is delivered with care. With Flora2000’s international flower delivery, you can send flowers to your loved ones and friends in 190 countries including the Philippines. This means that you can send flowers to Philippines whenever you want. Express your love. Are you sending flowers to a parent, husband, wife, child, or friend? You do so to express your love for this person. Flowers are a perfect way to say how you care for and love them and make them feel you value them in your life. To celebrate. Perhaps your friend’s birthday is coming up or a sibling is going to get engaged. Whatever the occasion is, flowers are a perfect gift and they can help celebrate even the little things in life. 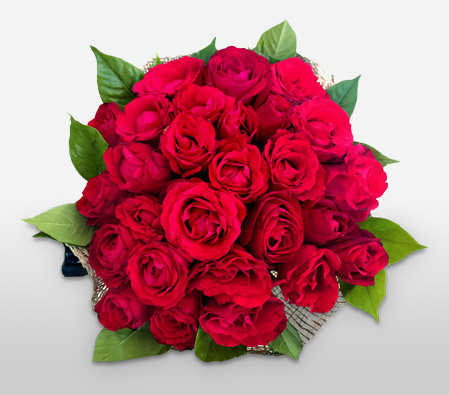 Philippines flower delivery online can make it possible even if you are thousands of miles away from that person. To lift somebody’s spirit. Sometimes, words are not enough to say it all and flowers can bring comfort and warmth in somebody’s life. Sending flower to somebody who needs emotional support is an excellent way to lift their spirit and boost their morale. If you choose to send roses to that person, we have a list of their significance by color and number. To apologize. Did you know that flowers are also a great way to say “I’m sorry” to somebody you had a fight with? Sometimes, apologizing with words is just hard. Sending flowers can help in opening a line of communication with that person again. To congratulate. Did somebody you love nailed their presentation, get promoted or graduated from college? If so, you can congratulate them on their achievements by getting flowers Philippines delivered to them. Being able to get an applause for a job well done is one thing; however, being congratulated by a loved one is usually more special. To impress. Can’t look at your crush in the eyes but want to impress that person? Perhaps that girl next door is your type and you have to break the ice? Send her a bouquet of flowers and a simple note that expresses your message. This is a convenient way to tell how beautiful that girl looks and ask her out for a cup of coffee. To make someone smile. Is mom or dad feeling lonely? Or perhaps your sister is stressed out because of work? This is the best time to send them flowers. A bouquet will cherish them and can make them smile. Flowers have a sweet fragrance and blossoms which can change their mood and make them feel great. In the Philippines, flowers are found everywhere and used in both family and local celebrations. The people in the country are known for their love of flowers and they even have the Arabian Jasmine as their national flower. Even if a lot of Filipino families are now living abroad, they still maintain close ties with their families left behind in the beautiful tropical archipelago. A gift of lilies or roses in time for a special day of your loved one or friend could make an awesome surprise for them in the country. We take each of our order seriously and we can customize our flower delivery to Philippines to make them more special. Our clients can choose from a selection of themed greetings cards and message options to help them express their affections with some words. Our flower delivery service makes it easy to deliver flowers to someone in the Philippines. We partner with local florists across the country so that your bouquets reach your recipients in their freshest forms. This makes sure that your surprise arrives looking its best and smelling great. Sometimes even if you are well-organized, you might miss some things. For instance, you might forget to order flowers in advance and you need them delivered on the same day. With our network of dependable and talented local florists in the Philippines, you can send flowers to Philippines same day delivery to almost anywhere in the country. We ensure there is minimal travel for the flowers to keep them looking fresh when they reach your recipient. If you want to send flowers to someone in the Philippines, we can make it happen in time for a special occasion. Regardless of whether the celebration is an anniversary, birthday, or a wedding or just letting someone know you are thinking about them, we have bouquets that have international delivery to send these people the perfect message. Sending fresh flowers to somebody is one way to show your appreciation to the person and with a lot of Filipinos living and working anywhere in the world, flowers sent internationally to your recipient’s doorstep could be the best surprise you could ever make for them. One of the world’s most biodiversity landscapes are found in Philippines. Sampaguita (Philippine Jasmine) is considered as the national flower of this country. Flowers speak language of love and innocence. Rose is also termed as queen of flowers in the Philippines too. Hydrangeas, Orchids, Anthurium, Hibiscus are amongst the popular flowers of this nation. Flowers are considered tokens of love, gratitude, celebration, innocence and all things good. 1. Flowers & gifts in Philippines are delivered through LBC Courier. 2. Same day flower delivery is available only for Metro Manila region. 3. Place your orders well in advance to ensure timely delivery and quality product. We have an exclusive collection of flower arrangements, hampers & baskets for this Easter. Our classy collection of flowers & Gifts for Easter to Philippines.